Observation - Wall barley - UK and Ireland. Description: A very recognisable grass whose flowerheads make great darts! 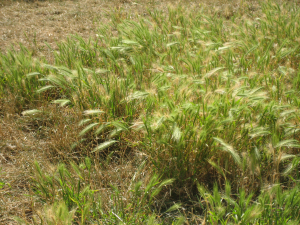 A very recognisable grass whose flowerheads make great darts!